“Gullah” comes from West African language and means “a people blessed by God.” “Ranky Tanky” translates loosely as “Work It,” or “Get Funky!” In this spirit, the Charleston, SC based quintet performs timeless music of Gullah culture born in the southeastern Sea Island region of the United States. From playful game songs to ecstatic shouts, from heartbreaking spirituals to delicate lullabies, the musical roots of Charleston, SC are “rank” and fertile ground from which these contemporary artists are grateful to have grown. 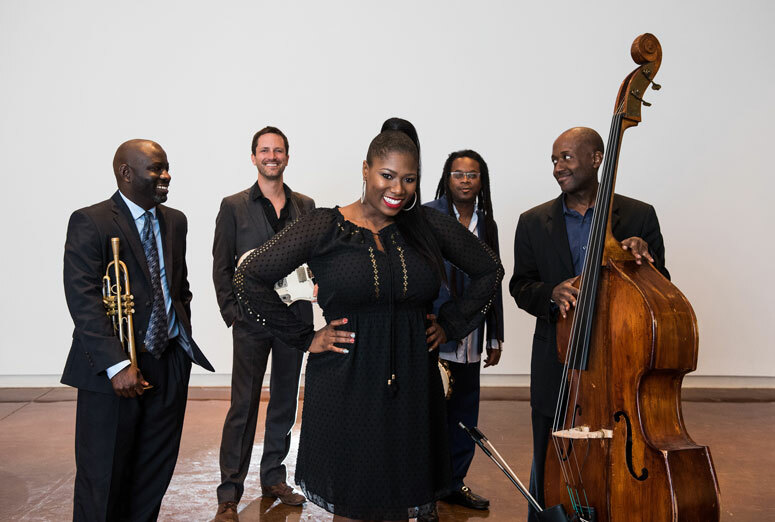 The soulful songs of the Gullah culture are brought to life by this band of native South Carolinians who mix the low country traditions with large doses of jazz, gospel, funk, and R&B. Working as an in-demand jazz quartet on the Charleston scene in the late 1990s before splitting off to each make their way as freelance musicians, they each gained years of valuable experience while developing a deeper appreciation for the South Carolina Gullah tradition from which they came. The band reformed with the dynamic vocalist Quiana Parler to celebrate the bone-deep mix of spirituals and gutbucket blues that mark the low country mainland and Sea Islands – music made by a self-contained culture of descendants of enslaved Africans that introduced such indelible parts of American songbook as “Kum Bah Yah” and “Michael Rowed the Boat Ashore.” A night of incredible music that will move you – body and soul!